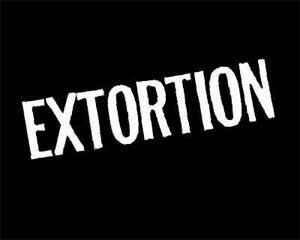 DEHRADUN: In an unusual case of extortion, an Uttarakhand doctor received an extortion call for Rs. 50 lakh from a gangster who is supposedly imprisoned in an Uttar Pradesh jail. HT reports that after receiving a call from the gangster, the doctor decided to lodge a complaint with the police. The Roorkee based doctor informed the police about the extortion call stating that he received a call from a gangster one Sushil Rathi from who is demanding Rs 50 lakh from him. To the surprise of the Uttarakhand police, when they started the investigation, they found that the person who allegedly made the extortion call is actually imprisoned in a UP jail and he supposedly made the said call to the doctor from the jail itself. This is the second time a medical practitioner has received a threat call from an inmate imprisoned in a UP jail. Medical Dialogues team had earlier reported that a leading surgeon, considered close to Uttar Pradesh Chief Minister Yogi Adityanath, received “threat calls” from a man who claimed to be an inmate of Deoria district jail demanding Rs 20 lakh from him.The doctor said in his complaint that the extortionist demanded of Rs 20 lakh from him and threatened him with dire consequences if he failed to pay.